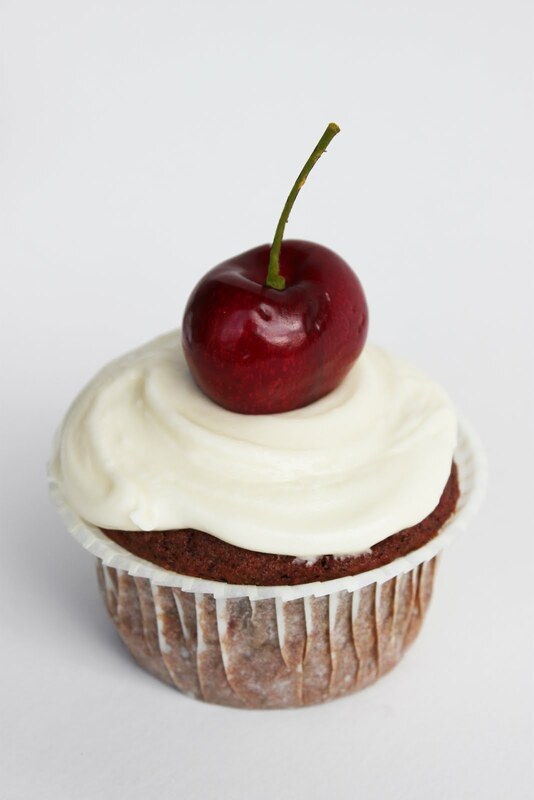 The red velvet cake was said to be a signature dish at the Waldorf-Astoria Hotel in New York during the 1920s. According to urban legend, a woman once visitng the hotel asked for the recipe in the 1960s and upon request for bill realised she had been charged a hefty fee for the recipe! Her revenge? Spreading the recipe across the country in a chain letter. Nice. Who knows whether or not the story is true, but it remains clear that it is a very popular cake flavour in the US. It is characterised by its red-brown colour. Where does the colour come from? Well, the key ingredients in a red velvet cake are: buttermilk, cocoa and (some say) traditionally, beetroot. Nowadays, however, red food colouring is usually used to enhance the colour. Red velvet cake is not a common flavour in Australia, and so I wanted to try its *supposed* original form with the beetroot. The result was a light and moist cake, much like carrot cake but the beetroot was hardly distinguishable. If you wanted to intensify the red colour you could add a couple of drops of red food colouring to the batter. 1. Prehet the oven to 180 degrees celsuis. Line a muffin tray with paper cases. Sift the flour, cocoa powder and bicarbonate soda in a bowl and set aside. Mix together the buttermilk and vinegar in a jug. 2. Beat together the butter and caster sugar in a separate bowl until pale and creamy, then beat in the egg and the beetroot. 3. Add half the flour mixture and mix gently with a large metal spoon. Stir in half the buttermilk mixture. Combine the remaining flour mixture, then the remaining liquid. 4. Divide the mixture between the paper cases and bake for around 20 minutes or until risen and firm to the touch. Transfer to a wire rack to cool. 5. To make the icing, beat the cream cheese, vanilla extract and sifted icing sugar until smooth and creamy. 6. Swirl the icing over the cooled cupcakes and top with a cherry on each. Pretty. These have intrigued me too. 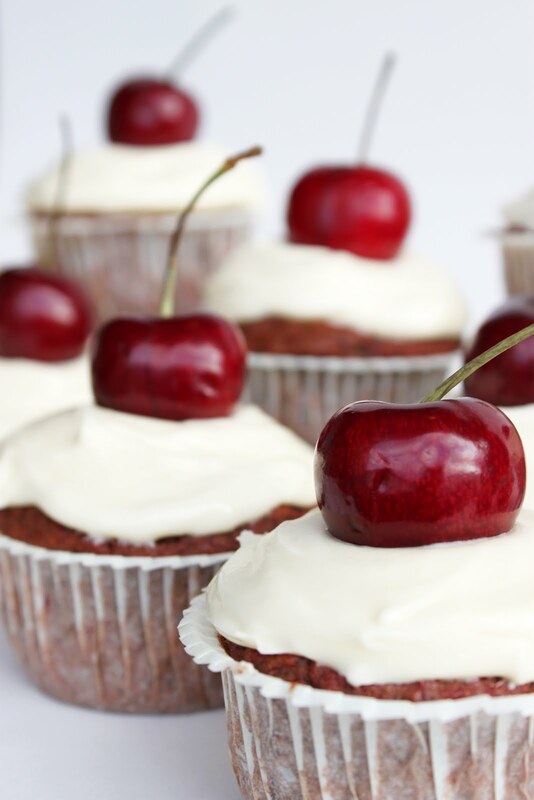 Cream cheese icing with a cherry sounds like a great addition. I had no idea that red velvet cake had beetroot in it! I love the cherry on top, it looks beautiful on the white icing. Red Velvet originated in the American South, not NYC. It is famous for being a Southern cake. It has never had beetroot in it, but the colour came from the chemical reaction between the vinegar/buttermilk and the cocoa - it turned it slightly pink. Over the years red food colouring was added to amp up the colour. Your cakes look lovely but your story is very, very off. Thanks for your comments 'Anonymous'.. If you read my post I don't actually say where it originated. There seems to be a bit of debate as to what constitutes a red velvet cake, and a lot of people say it once contained beetroot. Red velvet is my absolute favourite cupcake flavour! I don't know what it is? Maybe it's the cream cheese icing or maybe it's because they always seem to turn out so so moist. 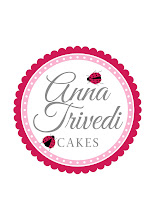 Your red velvet cupcakes look so pretty, I have tried them in the past but for me they never live up to all the hype. I do love cream cheese frosting thou. Hehe - I've heard the same story about some oatmeal cookie! Funny how stories like this spread around like wildfire! But no wonder, the cupcake looks deliciously moist. Thanks for sharing this priceless recipe. I love making them too. Yours look so delicious and elegant. I've only had a red velvet cupcake once! Am keen to try and make it myself 'someday'.